Discover why Brisbane in Australia ranked #73 in our countdown of ‘100 Most Incredible Cities in the World’. Despite being branded a ‘big country town’, Brisbane is a vibrant river city that is on its way up. 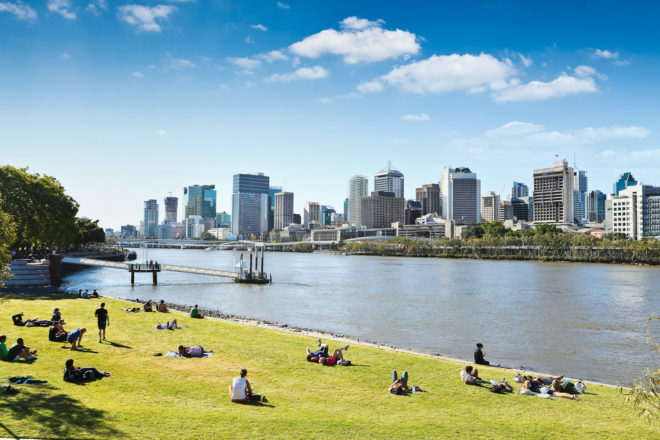 Clustered onto the banks of Brisbane River are bustling cafes, an energetic nightlife and the South Bank cultural precinct home to institutions such as Queensland Museum and Sciencentre. No trip to Brissie would be complete without a visit to its ultra-cool neighbourhood Fortitude Valley. Once the grungy, rock capital of the city, if not the country, the tired and dated entertainment district has reinvented itself with hip bars and coffee shops, designer boutiques, great al fresco drinking and dining. Our top picks: Winn Lane for ultra-cute outlets and Bakery Lane for Lost Boys café. For more travel advice, dreamy inspiration and brag-worthy holiday ideas in Brisbane, visit our sister magazine, Australian Traveller.